Happy Veteran is a project sponsored by CORE Vietnam, a 501c3 non profit corporation. It’s a healing venture designed to help struggling veterans with post-traumatic stress disorder (PTSD) and the consequences of war. CORE (Community Reconciliation) Vietnam is a not-for-profit corporation dedicated to the restoration of the soldier’s wellbeing and life within the community at home after returning from war. Dr. John Wesley Fisher is the director of CORE and a Vietnam combat veteran. He has been researching and practicing natural methods for post-war reconciliation, many of which are from long-lost ancient traditions, some still being practiced today. Much of his unique approach to healing the wounds of war was developed by re-visiting Vietnam. “Vietnam? Isn’t that a war?” This is the average response on the street, but in reality the war has been over for 40 years and Americans have been vacationing there for 20 years. As it turns out, the Vietnamese are very friendly people living within a moral code of love and forgiveness. 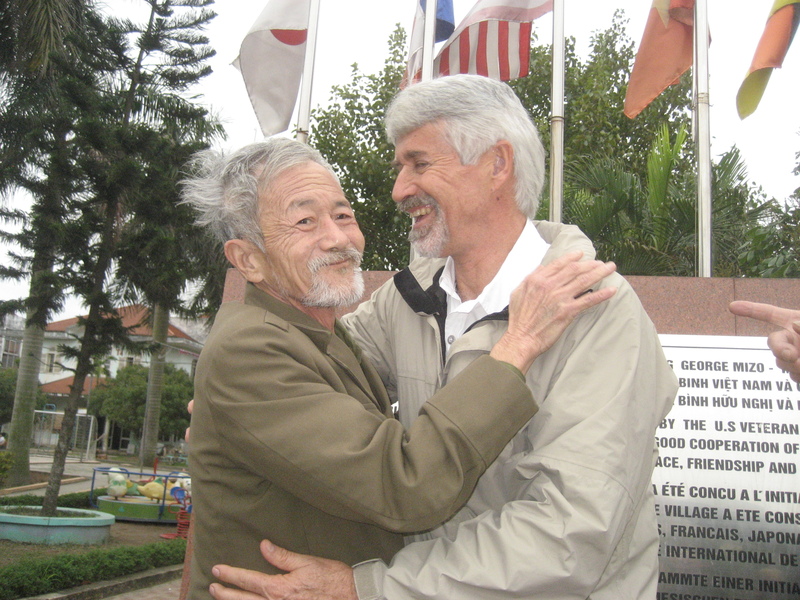 Everyone is family in Vietnam, even the foreign visitors, even the former enemies. And veterans from all wars, even Iraq and Afghanistan, are visiting Vietnam to understand a way of life that accepts war for what it is, but continues life in the present moment to lead the world in post-war reconciliation. Vietnamese veterans rarely encounter the ramifications after combat and American veterans travel to Vietnam to experience the possibilities. for those who generously served you.